On June 29, 2018, we had a Q&A interview with clinical neuropsychologist and ADHD coach, Terry Gingras, PhD. 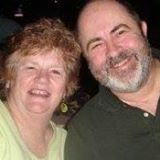 Terry is cofounder with his wife, Shari, of Gingras Coaching and Consulting, devoted to coaching ADHD families and especially ADHD entrepreneurs. They are also actively involved in using social media, particularly Facebook Live, to market and develop their national private practice. Terry is author of ADHD: Strategic Parenting and the forthcoming, High Performance Entrepreneur: How to Turn ADHD into your Superpower. Terry Gingras, PhD (JIN-gruss) is a clinical neuropsychologist and ADHD coach in private practice. In our interview, he will talk about his practical experience working as an ADHD coach with a national practice. He will also share his surprising experience using social media, especially Facebook and Facebook Live. Social Media: His entry into social media was gradual. Around 2004, he realized that he knew nothing about marketing in the internet world. His Bachelor’s degree was journalism with a concentration in advertising, but that was old-school advertising on radio, television and newspapers. He has since gone to around 18 Internet marketing training conferences. He’s also been in a number of mastermind groups around this topic area. Bottom Line: During our interview, Terry will share his practical experience with FB Live and the impact it has had on his coaching practice. 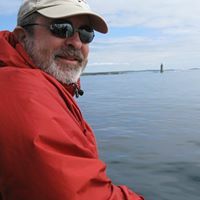 Terry is engaging, unpretentious, frank, and will probably not hold anything back in sharing his experience both with running an active coaching practice and with the nuts and bolts of using social media. 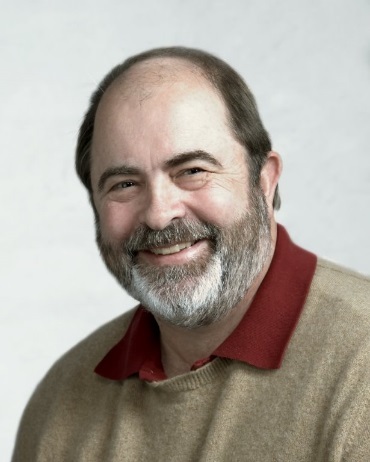 Terry James Gingras, Ph.D., is a clinical neuropsychologist and ADHD coach in private practice. His practice involves neuropsychological evaluation, including evaluation and treatment of ADHD in children and adults. He is also cofounder (with his wife Shari) of Gingras Coaching and Consulting, devoted to coaching ADHD families and especially ADHD entrepreneurs. They also coach small businesses, particularly in the healthcare industry on marketing, especially in the use of social media. Terry is also the author of “ADHD: Strategic Parenting.” His forthcoming book, “High Performance Entrepreneur, How to turn ADHD into your Superpower” is slated for release later in 2018. Terry and Shari are actively involved in using Facebook, particularly Facebook Live, to market and develop their private practice. 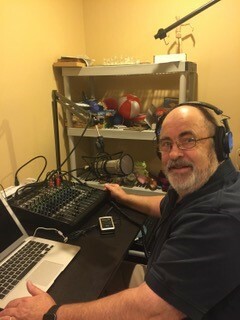 Terry produces a weekly Facebook Live show, “Dr. G’s ADHD Chat,” dealing with ADHD in children and adults. Together, Terry and Shari also host “Optimistic Age”, a show for baby boomers. Terry received his Ph.D. in clinical psychology from the University of Arizona, where he was mentored by Dr. Ralph Reitan, codeveloper of the Halstead-Reitan Neuropsychological Test Battery and one of the foremost neuropsychologists in the world. Terry also has postdoctoral training in behavioral medicine and neuropsychology. He has extensive experience working with chronic pain, stress and illnesses in which physiological over-arousal is a key component. Terry has extensive experience working with and evaluating brain injuries and cognitive disabilities caused by neuropsychological conditions. He is an expert in cognitive retraining and is certified to provide the Cogmed Cognitive Retraining program. He is also an evaluator for the Federal Aviation Agency. Terry is a retired Lieut. Col. in the United States Air Force, where he supervised a pioneering program in aviation psychology. He regularly taught fighter pilots behavioral medicine techniques to reduce stress and improve performance. Part of his mission as an aviation psychologist was to fly regular missions in the F-15 fighter aircraft. While stationed in the United Kingdom, he introduced members of the British Health Service to the basic concepts of behavioral medicine, including stress management, biofeedback and hypnosis. The son of a golf professional, Terry has years of experience coaching athletes and others in achieving maximum performance. Currently, his principal focus is coaching entrepreneurs with ADHD, teaching them to use and control their abilities to hyperfocus to improve their businesses by becoming more productive. He also loves to coach them to learn to use their creativity and ability to think “outside the box” to arrive at novel solutions to society’s problems. Entrepreneurs with ADHD also must learn to compensate for their difficulties with distractibility and impulsivity. Terry does multiple presentations on ADHD parenting, ADHD evaluations, stress management, performance enhancement and being a cancer caregiver. He has been a lecturer and faculty member at Minot State University, the University of Maryland and East Virginia Medical School. Gingras, Terry James (2016). 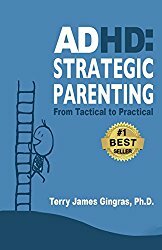 ADHD Strategic Parenting: From Tactical to Practical. Available on Amazon and as a free download on www.terrygingrasphd.com.